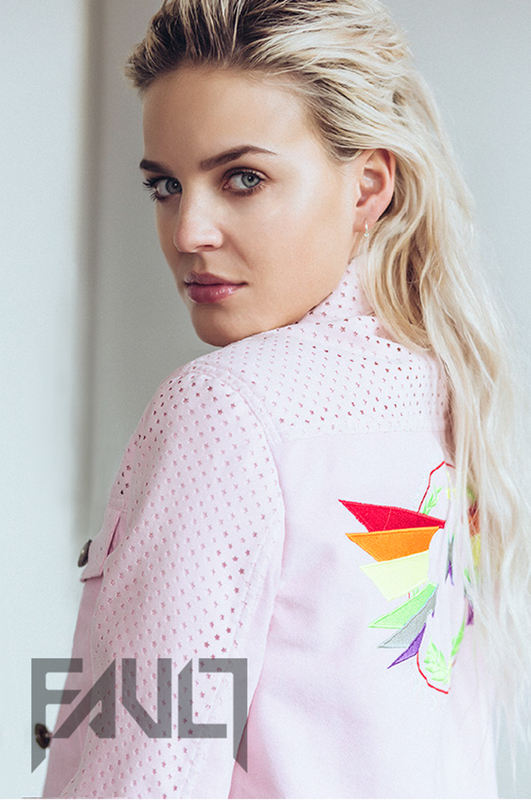 Today Anne-Marie has released the first single from her upcoming album and so to celebrate, we’re sharing some excerpts and images from our feature with the young star in FAULT #22. Anne-Marie has been spending the past two years touring the world with Rudimental and now she’s progressing to pop’s waiting list after the release of her debut EP ‘Karate’. She’s clearly no rookie to the music industry and has her eye on the prize. You’re first and foremost known as Rudimental’s Anne Marie. Can you talk us through your history with them? How did it all come about? I had a writing session with them about three years ago and that was before I had any music out, so we just became friends basically. And we stayed friends until they needed someone to go on tour with them and that’s when they chose me. Do you remember what your first show with them was like? It was quite scary. I remember just being on stage and being stiff and quite overwhelmed. It was quite a lot to take in. It was a big show as well, it was at a festival in Wales. I ended up getting used to it though. I’m a little bit better now but back then it was a bit scary. Now you’re coming into your own and releasing your own music as well. What do you feel is the main difference between yourself as an artist and yourself as a featured artist? How do you plan on differentiating yourself? Well, apart from the obvious outcome of being a featured artist where all you do is sing other people’s music, which I love doing nonetheless, as my own artist, I can write my own stuff, I can put across something that I want out there. I always write about personal experiences or experiences that other people who are close to me have been through. So, it’s finally fine to sing about something that is important to me, which I’m really looking forward to. Obviously when you’re singing other people’s music, it’s still important to have a connection with it, but it’s not the same as it is with your own writing. My biggest fault is that I’m really impatient. And I need to learn how to be patient; it’s becoming a problem.